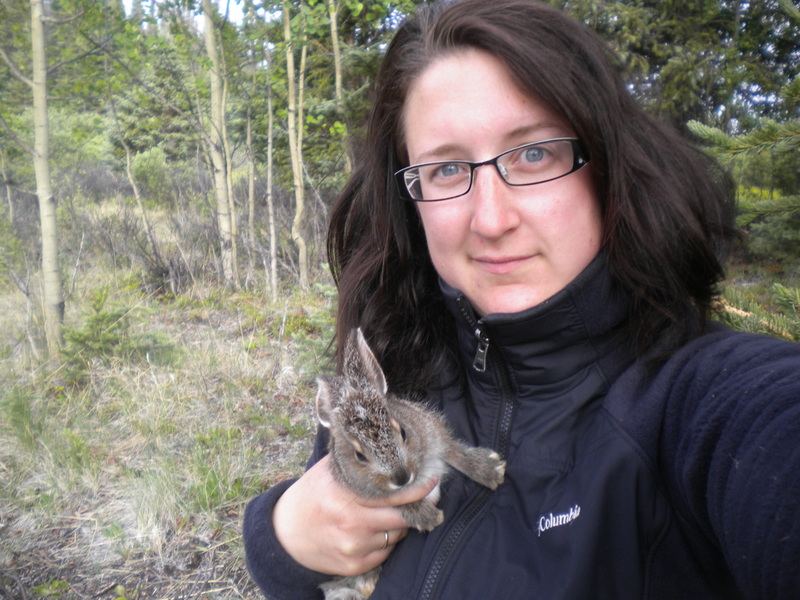 My PhD work focuses on the non-consumptive effects of predation in snowshoe hare populations. In the boreal forest, snowshoe hare (Lepus americanus) populations undergo a regular cyclic fluctuation with 8-10 years between peak densities. Predator populations follow this fluctuation with a lag of 1-2 years and, during hare population decline, predators can cause up to 100% of hare deaths. Only recent work suggests that these declines also involve non-consumptive predation effects, with hares during decline years experiencing chronic stress potentially leading to increased vigilance, altered foraging, and lower productivity. However, to date, perceived predation risk in snowshoe hares has only been assessed in penned hares leaving fundamental gaps in our understanding of how free-ranging hares respond to perceived risk, whether risk responses transcend multiple (e.g. behavioral, physiological, etc.) axes and if these responses translate demographically. My work will focus on measuring behavioral, physiological and energetic responses of free-ranging hares in areas of increased predation risk (compared to controls) and quantify the extent that risk can generate reduced hare fitness and ultimately population decline and cyclic attenuation. Find out more at my personal website. 2012: M.Sc. (Biology), Mount Allison University, Sackville NB. Supervisor: Dr. Diana Hamilton. Thesis: Direct and indirect interactions between predators in an intertidal mussel bed community. Quinn, B.K., Boudreau, M.R. 2016. Kleptoparasitism and scavenging by the invasive green crab (Carcinus maenas) have different impacts on native species. Marine Biology 163: 186.